Overtraining syndrome (OTS) can be defined as a period of time where physical training is at an intensity or volume in which the body is not provided an adequate amount of time for recovery from bouts of exercise (Clark & Lucent, 2010). Overtraining syndrome may also occur when chronic under-fueling from a nutritional standpoint occurs in which the body is unable to recover from bouts of exercise. Either cause of overtraining syndrome may result in a series of symptoms, signs, and physiological effects in both the male and female populations (Clark et al., 2010). Detraining is the situation in which a training stimulus becomes insufficient or is removed in which physiological parameters begin to decline (Turner & Comfort, 2018) The physiological declines associated with detraining can be cardiorespiratory based, muscular, metabolic, hormonal or a combination thereof (Jeffreys & Moody, 2016). The degree and amount of reduction in an individual’s physiological parameters due to detraining is dependent upon numerous variables including the amount of reduction in training, current cardiorespiratory and muscular levels of fitness prior to reduction in training stimuli, and training history. Overtraining signs, symptoms, and effects can vary depending upon the individual, extent of overtraining, and duration. 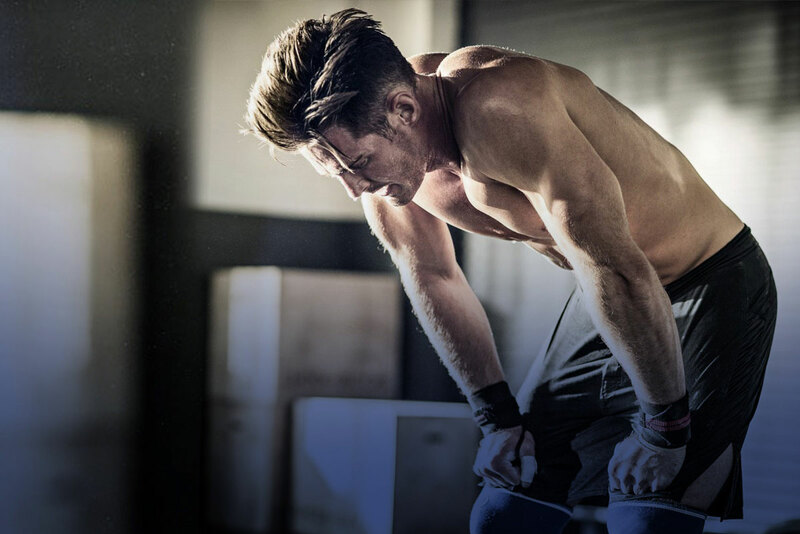 Listed below are the signs, symptoms, and effects of overtraining. Decreased performance: A lack of improved performance, despite increases in training intensity or volume. Lower performance levels of muscular strength, endurance, power outputs, sprint speeds, and reaction times are common signs of over training (Clark et al., 2010). Increased perceived effort during workouts: Outside of decreased performance a state of overtraining can result in a higher level of perceived effort during a training session. An abnormally elevated heart rate during the day or within a training session can be a sign of overtraining (Turner et al., 2018). Excessive fatigue: A feeling of excessive fatigue post training session for an extended period of time can be a sign and symptom of overtraining (Clark et al., 2010). The ability of the body to physiologically recover fully from previous workouts does not occur in such a state. As a result, both a physiological and psychological fatigue occurs. Agitation, moodiness, depression: Stress hormones including cortisol and epinephrine are affected by a bout of overtraining (Turner et al., 2018). The resulting hormonal imbalances can result in mood swings, irritability, and potentially depression (Turner et al., 2018). Insomnia or restless sleep: The overproduction of stress hormones from overtraining can result in insomnia or inability to relax (Jeffreys & Moody, 2016). Loss of appetite: The hormonal imbalances resulting from a state of overtraining may lead to appetite suppression (Clark et al., 2010). Chronic or nagging injuries: The excessive volume or intensity associated with overtraining can result in chronic joint or soft tissue inflammation (Turner et al., 2018). The result is potential injury and joint discomfort. The results of detraining can physiologically occur in a short amount of time two to three weeks post reduction in training stimulus (Jeffreys et al., 2016). Listed below are the signs, symptoms, and effects of detraining. Loss of muscular strength: Strength can be maintained without training for up to three to four weeks (Clark et al., 2001). After this period of time muscular strength is gradually lost. Muscular atrophy: After a period of two to three weeks muscular atrophy begins to occur (Jeffreys et al., 2016). The rate of atrophy can be dependent upon the individual’s level of training experience and current levels of fitness. Reduction in cardiorespiratory fitness and VO2 max: Cardiorespiratory performance can decrease by 4 to 25% after a period of three to four weeks of detraining (Turner et al., 2016). VO2 max may decline by 6 to 20% in highly trained athletes after a four-week period of detraining (Turner et al., 2016). Reduction in power outputs: A reduction in training stimulus can cause a reduction in muscular cross-sectional area and an increase in the number of oxidative fiber (slow- twitch) versus glycolytic (fast-twitch) fibers (Turner et al., 2018). The result of this reduction in muscle fiber type can be viewed as a reduction in the power development properties of the neuromuscular system. in elite power lifters and body builders (18,19). VO2 max declines by 6 to 20% in highly trained athletes at around 4 weeks of detraining. Loss of soft tissue extensibility: Flexibility can be reduced after 4 weeks of detraining by 7 to 30% thus reducing overall levels of joint mobility and soft tissue extensibility (Clark et al., 2001). Clark, M. (2001) Integrated training for the new millennium. Thousand Oaks: National Academy of Sports Medicine. Clark, M. Lucent, S. (2010) NASM essentials of sports performance, Baltimore, MD: Lippincott Williams & Wilkins. Jeffreys, I. Moody, J. (2016) Strength and conditioning for sports performance. New York, NY: Routledge. Turner, A. Comfort P. (2018) Advance strength and conditioning: An evidenced-based approach. New York, NY: Routledge.